Decongestants—like pseudoephedrine or phenylephrine—constrict blood vessels. They allow less fluid into your sinuses, "which dries you up," said Dr. Erin Michos, associate director of preventive cardiology at the Johns Hopkins Ciccarone Center for the Prevention of Heart Disease in Baltimore. Merely having a cold or the flu strains the cardiovascular system. Fighting the illness raises the heart rate and causes inflammation. 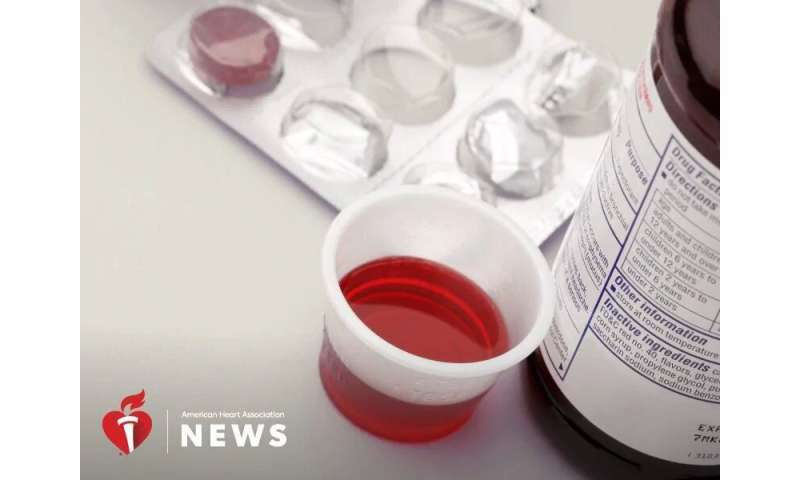 Meanwhile, NSAIDs—which carry a warning label about the increased risk for a heart attack or stroke—can cause problems by reducing the amount of sodium excreted through the urine, which increases fluid retention and raises blood pressure, DePalma said. All subtly scrambled in a manner that reminds me why the Hippocratic Oath exists. You know about that? Most "medical" writing violates it. The word lame comes to mind. This is an example of poor editing of most "science" information; much it all of this article was well-known 40 years ago. And it would have actually been helpful to differentiate between a flu and a cold. The NSAID info remains an inference.